Music for the Faerie Kingdom. 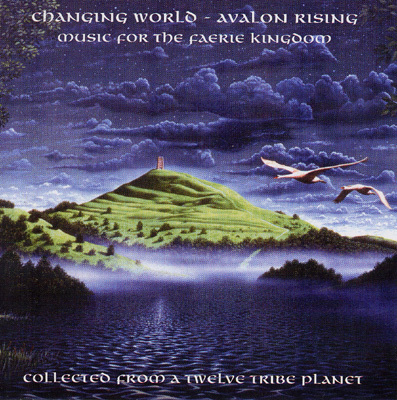 In Avalon, they are celebrating the dawning of the new age with this specially prepared CD compilation of music that they have discovered. The music somehow describes the world's growing cultural awareness that is emerging in the environs of the legendary Glastonbury Tor - Mount Zion - the Grail Castle. The music is a fusion of both indigenous and planetary styles and sympathetic use of modern harmonic technology, which has been gifted to humanity’s musical community for this very purpose. We feel the result to be a perfect accompaniment for your own personal quest to Avalon and Middle Earth, full to the brim with beautiful, spiritually charged acoustic and electronic, chilled, ambient and world music. Ideal for dance, healing and meditation - the music of the North, South, East and West, meeting in the Heart Grail of Avalon.